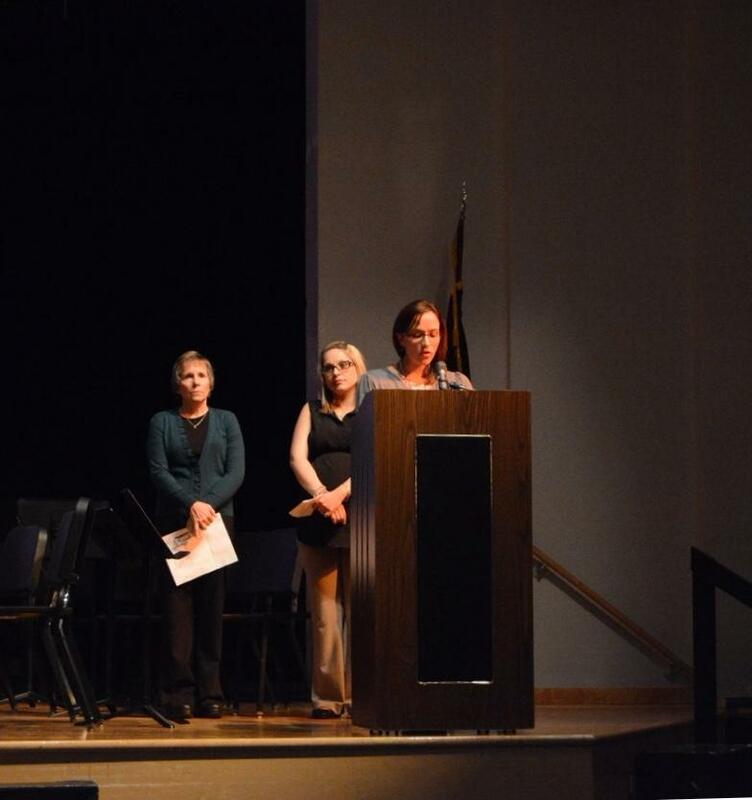 EHS teacher Stacey Yapsuga reads “I am Always With You” by Emily Dickinson as a tribute to Dougie. The ceremony concludes with a candle lighting in Dougie’s memory. Friends share a moment of silence for Dougie. 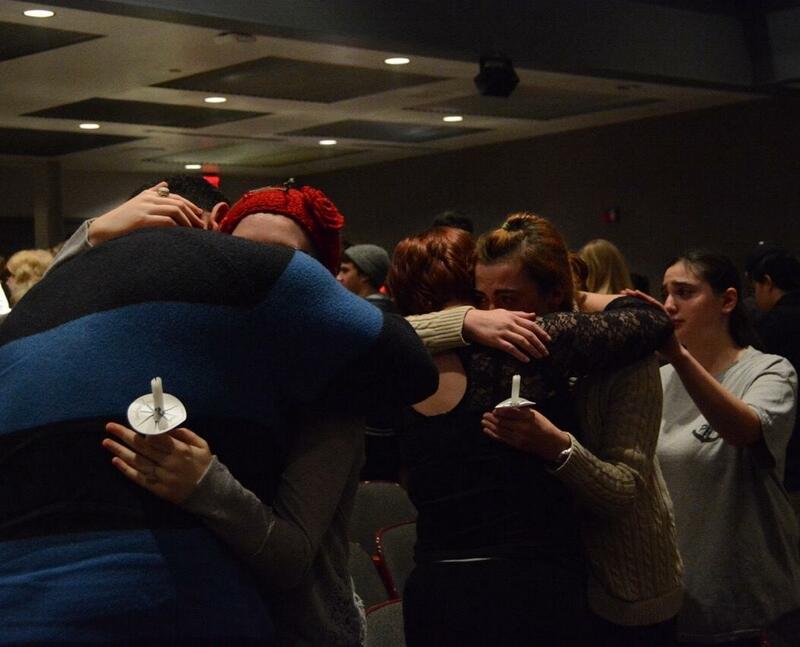 Former EHS students embrace one another as the emotional night comes to a close. Photos by Rachel Reed. A smile that spread from ear to ear, a warm and welcoming embrace, and a heart that loved immensely. 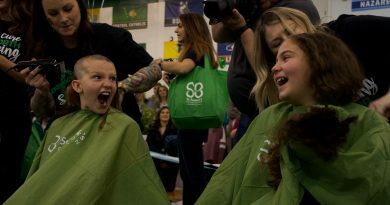 This is what the Emmaus community will remember most about its lost son, brother, student, and friend, Dougie Jackson. 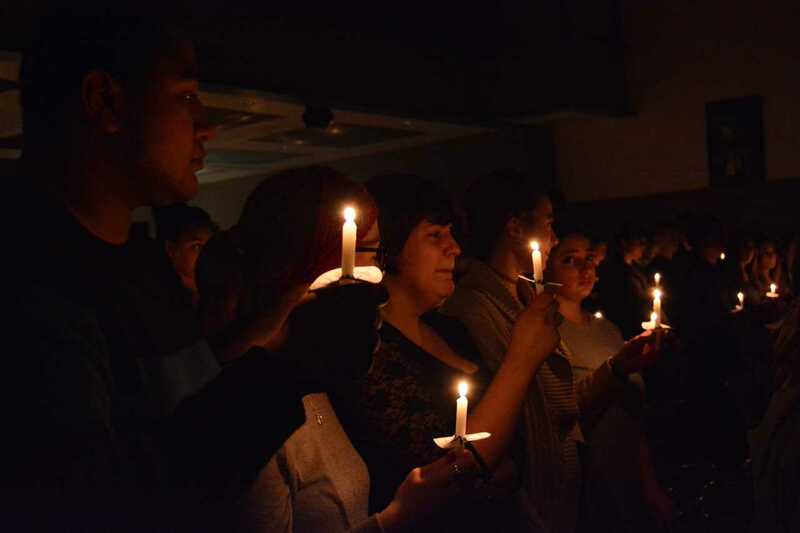 On the night of Dec. 23, only a day before Christmas Eve, peers, classmates, friends, parents, and teachers gathered in the Emmaus High School auditorium to celebrate the life of Douglas Jackson III, a member of the EHS 2013 graduating class. Dougie, 21,and his father Doug Jackson, 55, died on Dec. 17, when their Lower Macungie Township home in the 7100 block of Myrtle Drive collapsed in a fire, according to news reports. Neighbors attempted to enter the blazing house until the home collapsed, preventing any entry. Lisa and her daughter Brittney escaped through a second story window. Soon after the fire, classmates and peers took to Facebook to share their thoughts and condolences. Several people began suggesting different ways to honor their lost friend. 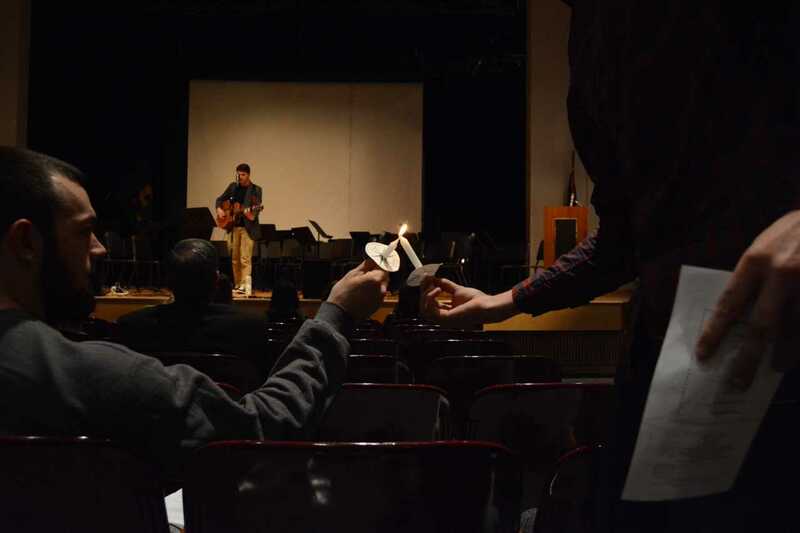 President of the 2013 class Katie Thomas created an event group to organize a candlelight vigil. 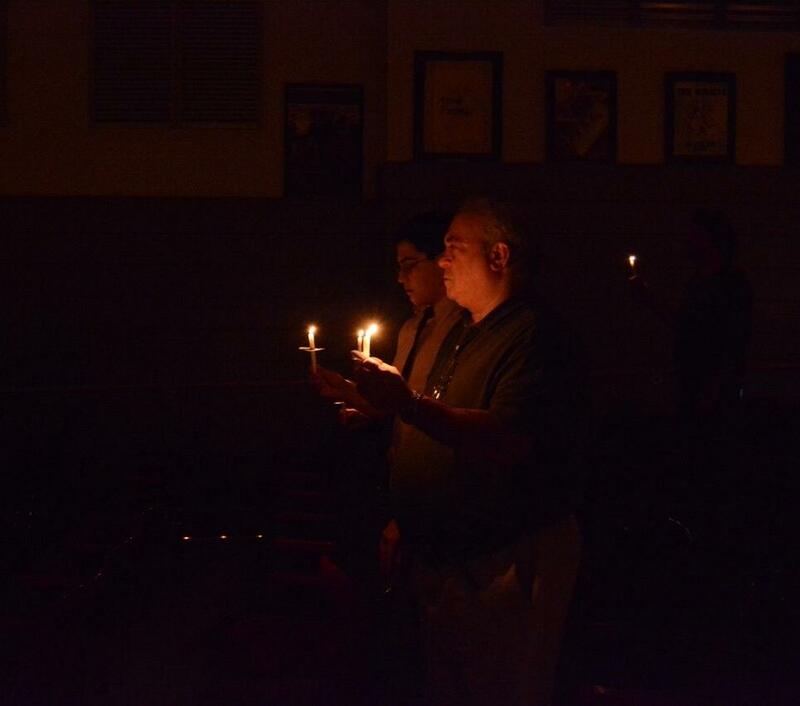 The vigil, held in the auditorium, attracted former and current EHS students, as well as parents and teachers. The emotional night featured speakers, performances, and a slideshow, all with one purpose: to celebrate a life. A life filled with smiles, New York Giants jerseys, and big Dougie bear hugs. Thomas began the night, sharing a few words about Dougie to remind everyone why they came. The band, filled with alumni and current members, dedicated a song to Dougie, with whom they once shared the field during Friday night football games. Emmaus teachers also shared their experiences with Dougie, fighting back the tears that plagued virtually every audience member that night. English and learning support teacher Danielle Graf taught Dougie in three out of his four years of high school, and learned from Doug just as much as he learned from her. From their Eagles-Giants rivalry to their strong relationship in the classroom, Doug created memories that never be forgotten, according to Graf. “Doug had an impact on my life as I did on his, and I hope he realizes how special he was to us all,” Graf said. 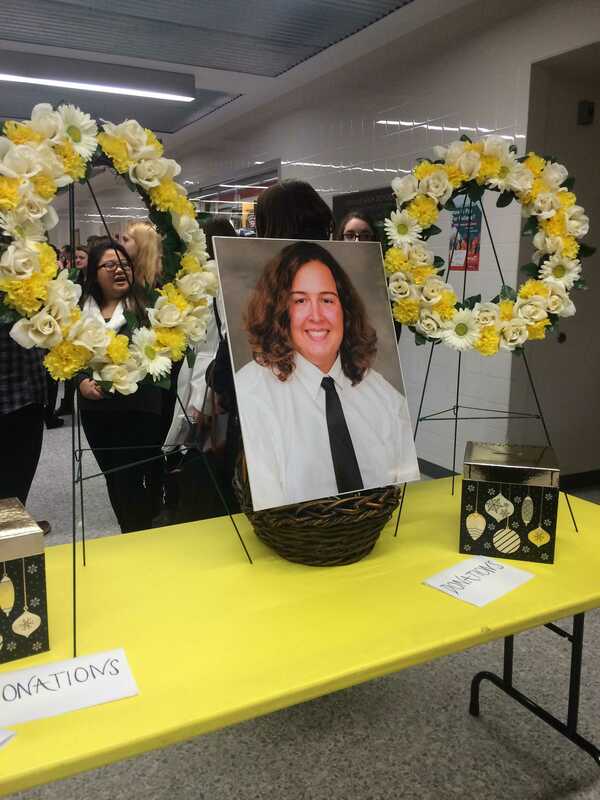 Aquatics teacher Lisa Wells shared a few words about a student whom she knew to have a larger-than-life personality, and a heart that was even bigger. 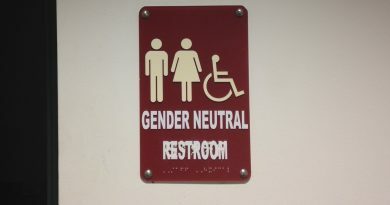 She recounted the mornings she would walk past the main office, and hear Dougie calling her name through the crowded halls. She recalled the kindness Dougie exuded everyday, always genuinely wanting to know how her day was going. Natasha Hyland, 21, a classmate of Dougie, said she became close with Dougie her freshman year, as they shared a homeroom together. In just those 20 minutes every day, Dougie proved himself to be the epitome of a true friend, according to Hyland. Between speakers, the night featured a slideshow of photos, each capturing that bright smile and overwhelming happiness that each speaker mentioned. Matthew Schmoyer, also a 2013 graduate, performed Tears in Heaven by Eric Clapton as a tribute to Dougie. At the end of the ceremony, Schmoyer played a final song, Dream On by Aerosmith, Dougies favorite band. 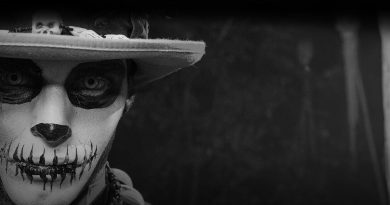 As the solo voice and lone guitar rang throughout the auditorium, the lights dimmed and the candles illuminated the room. The evening ended with a moment of silence for Dougie Jackson. A son, a student, a brother, and always, a friend.